From that time on, Jesus began to show his disciples that he must go to Jerusalem and undergo great suffering at the hands of the elders and chief priests and scribes and be killed and on the third day be raised (Matthew 16:21, emphasis added). This week I want to share with you what I consider to be the passion of the early church. What came as a shock to me when I first began to realize it was that the Apostles, in the book of Acts, never spoke about Jesus’ crucifixion as a meritorious death that promised postmortem bliss. Rather, they proclaimed the resurrection of One who had been executed unjustly, a resurrection by which God had fulfilled the promises made through the ancient Hebrew prophets, a resurrection by which God established this Jesus as the Christ of both Israel and the world, a resurrection that marked the beginning of a whole new world where the long-awaited work of God in putting the oppression, violence, and injustice to right had begun. I want you to be clear on what I’m saying. I’m not saying Christ’s death was not meritorious promising postmortem bliss. What I’m saying is that if that is true, it is profoundly curious to notice the Apostles never preached this but rather something radically different. Let’s go all the way back to before the events of Jesus’ crucifixion and resurrection took place. Let’s go back and sit with those twelve followers of Jesus, listening alongside of them, as they listen to one Whom they hope will be Messiah. One day, as they are sitting with Jesus, he shares these words with them, saying, “The Son of Man must undergo great suffering, and be rejected by the elders, chief priests, and scribes, and be killed, and on the third day be raised” (Luke 9:22). At this stage it is vital that we keep in mind that the hope of the Hebrew people, which included these twelve disciples, was not of one day going to some far distant “Heaven” when they died, nor was their hope of escaping some postmortem “Hell.” The hope of the Hebrew people was of an age, here in this world, when Messiah would come and put all oppression, violence, and injustice to right. THIS was the long-awaited promise of the prophets. Here Jesus shares, much to the shock of the twelve, that THIS hope, which they were longing for, Jesus planned to accomplish through being unjustly killed and then, three days later, resurrected. At this point, it is true that the Apostles did not have a sweet clue what Jesus was talking about, but what we must not miss is the fact that this, right here, would become the message the early church would proclaim to the world. Read through each of the following excerpts of the early message of these Apostles paying close attention to the emphasis each places on the resurrection and what that resurrection accomplished. Acts 3:13−15—”The God of Abraham, Isaac, and Jacob, the God of our fathers, has glorified his servant Jesus. You handed him over to be killed, and you disowned him before Pilate, though he had decided to let him go. You disowned the Holy and Righteous One and asked that a murderer be released to you. You killed the author of life, but God raised him from the dead. We are witnesses of this” (emphasis added). There are two key, saving elements of the Jesus story told by the Apostles. In order for the story to have its saving effect, both elements must be present. First was the identification of Jesus as the One we had politically, economically, and religiously victimized. The second is the identification of Jesus as the One God had declared, through the resurrection, was actually innocent! Let me explain. Don’t rush over this. Contemplate it for a moment. The dynamic that Jesus had been unjustly executed by us through the alliance of our political systems (Pilate), our economic systems (Herod), and our religion (Caiaphas), coupled with the dynamic that God, through the resurrection, had responded to Jesus’ unjust execution at the hands of these allied systems, declaring Jesus innocent simultaneously unmasks our present way of doing life on planet earth for what it truly is. The very first thing that the combination of these two dynamics enables us to do is to experience a very powerful paradigm shift where we identify Jesus as, therefore, allied with, and standing in solidarity with, all of our victims (both contemporary and historical) through whom we maintain our present state by persecuting. It doesn’t matter whether we are victimizing them through our politics, economics, and/or our religion. We begin to see that God is with them, rather than us (see Acts 2.37), and that we are with God when we are standing alongside of them. This identification, when properly understood, “converts” us, as followers of this Jesus, to now stand in solidarity with those we once persecuted over and against those systems to which we used to belong. This was what the early church proclaimed. And today, to have a saving effect, our theories concerning Jesus’ death must also combine these two vital elements. The gospel we tell must first locate us among the crowd condemning Jesus. We are the people who don’t see what we are doing, believing our actions to be politically “justifiable,” economically “expedient,” or religiously “required.” WE are the people who always turn to violent means driven by fear to remove the tensions in our culture, whether political, economic, or religious. It was WE who crucified the Lord of Glory. AND it was GOD who, through the resurrection, decisively declared and demonstrated that our scapegoat, suspended shamefully in a Roman-style execution . . . is innocent! In order to have its saving effect, our gospel must include, not just Jesus’ unjust execution, but give great emphasis to the deep significance of His resurrection! 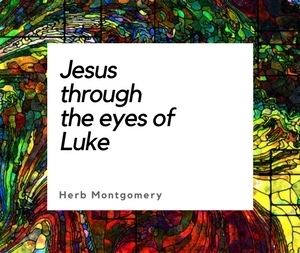 Jesus, in harmony with all the Hebrew prophets, had come to bring an end to politics dependent on violence, economics driven by greed, and religion rooted in fear. Far from the death of Jesus being that which satisfied justice, the killing of Jesus was the greatest act of injustice in human history. Our gospel is the story of when God Himself, in the person of His Son, became the innocent victim of our politics, our economics, and our religion, unmasking them for what they are and triumphing over them as well. The Apostles announced that the resurrection was the start of a whole new world. This is a world that begins by seeing our oppressive political, economic, and religious systems for what they truly are. This is a world where, as followers of this Jesus, we stand, no longer in solidarity with those systems, but with the victims of those systems, taking our queue from Jesus, all the while realizing we used to be the persecutors of such victims ourselves. (This was Paul’s story exactly.) This is a world where not only has this Jesus accomplished this radical change in us from oppressor to standing alongside those whom are being oppressed, but a world where, also by the resurrection, we, and the ones we are now standing alongside, have been set free from all fear of those political, economic, and religious systems. The Jesus we are following, through the resurrection, has defeated those systems, stripping away from them their power over us through their threat of death and our reciprocal fear of death. Jesus has blown a hole out through the other side of death, so that as Justin Martyr once said, “You can kill us but you cannot hurt us.” This is a brand new world where this same Jesus whom we unjustly killed, has been, through the resurrection, exalted by God to be our new Prince, our Savior, and our Lord. This Jesus truly is the long-awaited Messiah through whom the prophets had promised God would put the world right side up once again. The resurrection of this long-awaited Messiah marks the beginning of a world where our politics (which were dependent on violence) have been replaced with a Love that serves rather than threatens; a world where our economics (which were driven by greed) have been replaced with a Love that shares rather than hordes; a world where our religion (which was rooted in fear) has been replaced with a Love, the beauty of which inspires rather than intimidates. Jesus, as earth’s new King, has forever established on this earth a human community characterized by humble, servant Love, that nonviolently shares its few loaves and fishes with those who are without, endeavoring not to intimidate the world into change, but putting on display the beauty of what a world changed by this Christ looks like, inspiring everyone, both oppressor and oppressed, to come along with us to a whole new world. And this community will never pass away, till the only world that remains is a world where this Love reigns. When properly understood, the story of the Divinely Resurrected One who was unjustly executed by us causes one to rethink everything. Truly, THIS Truth, when it’s seen, sets you free. There is a stark difference between preaching a meritorious death, which assures us of postmortem bliss, and teaching about a unjust death and Divinely accomplished resurrection from which light is streaming, pointing the way to a renewed and healed world. Much to ponder, for sure. This week I’m offering you only one passage, but it is powerful! In the act of the Father giving life to Jesus, who was dead, He has empowered this same Jesus to give life to where there was once death, justice where there was once oppression, and healing mercy where there was once unjust sacrifice. For the Father, according to Jesus, does not require sacrifice, but desires mercy. 1. Spend some time sitting with Jesus in contemplative meditation on this passage in John. 2. Journal what insights Jesus shares with you during your time with Him. 3. Share what Jesus shows you with your HeartGroup this upcoming week. Keep living in love, loving like our Christ, till the only world that remains is a world where love reigns.